We like to say that if our clients dream it, we can do it. 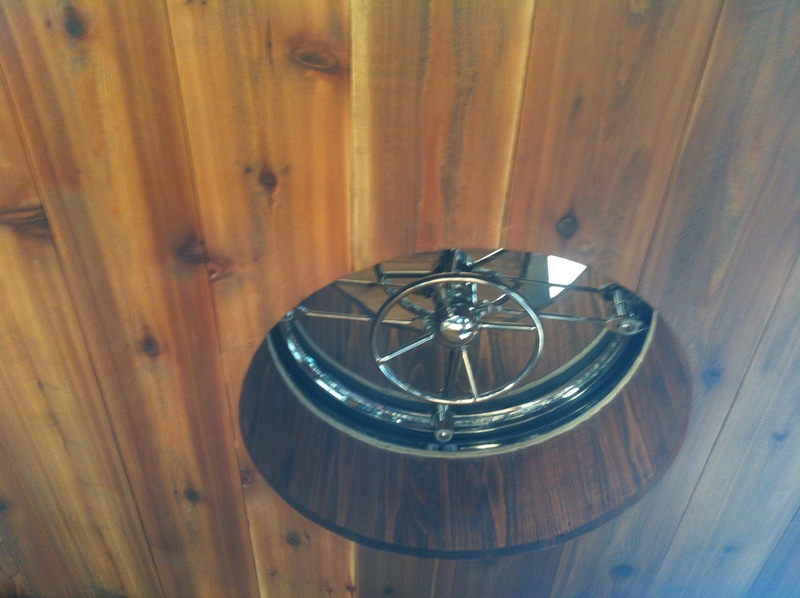 A custom fabricated stainless steel boat hatch. 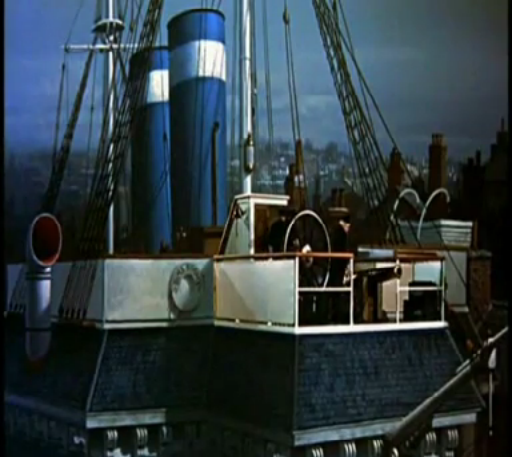 The Inspiration: Our clients loved the scene at the beginning of Mary Poppins where Admiral Boom shouts hello from his crazy nautical rooftop widow’s walk. 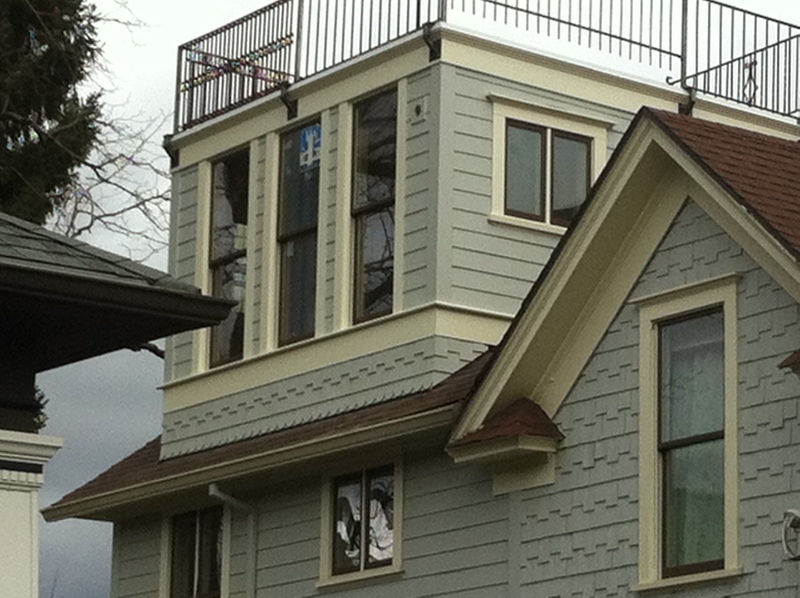 They loved the view from their own roof, and they wondered: Could they have a roof deck like that? And if so, how would it be accessed? Arciform owner and designer Anne De Wolf suggested they borrow a solution from her own coastal cabin: install a boat hatch. The challenge: Most boat hatches are designed for circumstances where all of the surrounding materials are waterproof and water tight. If a little water falls into the cabin below, that’s considered part of life on a boat. 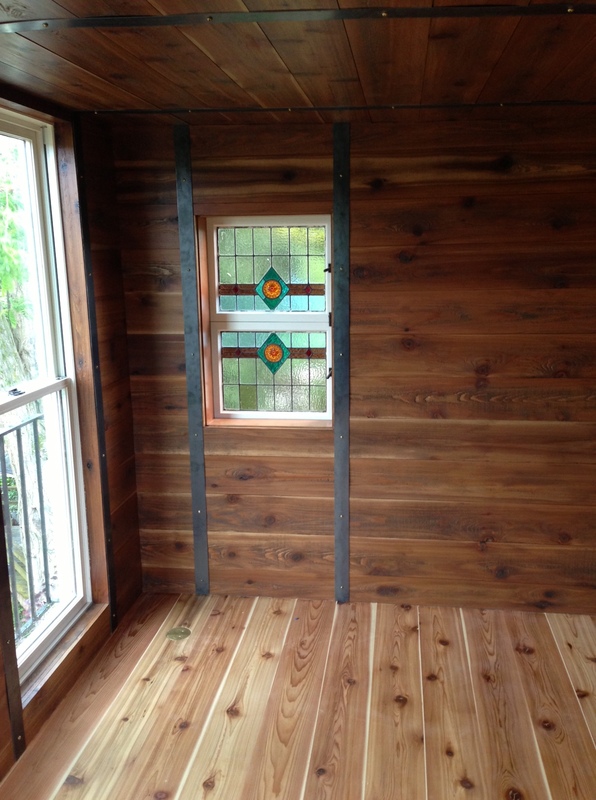 By contrast, this hatch was going to open into a wood paneled reading loft… and it wouldn’t work for that room to get drizzled on each time the hatch was opened. 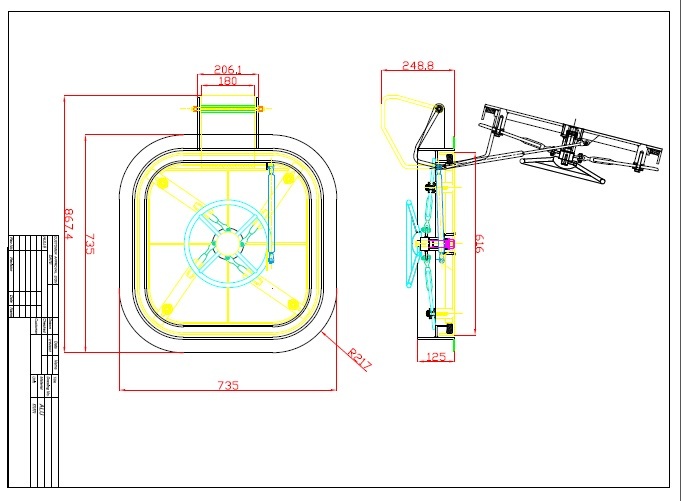 The Solution: Arciform Project Manager Spencer Fransway did significant research to find a company that would custom fabricate the hatch to unusual specifications that would force any rooftop water away from the hole. After much searching, a firm in Taiwan whose primary business is in outfitting luxury yachts agreed to take on the project. Communicating with Taiwan across a language barrier, separated by two oceans and several time zones created the some of the biggest challenges. Many late night conversations and early morning draft revisions were exchanged to get the details of the hatch exactly right. Were the specs clear enough? Were there logistical elements we weren’t considering? Is this Taiwanese firm going to be able to meet our clients’ exacting standards? Then we waited… and checked… and waited….and checked… and waited for the hatch to be fabricated. 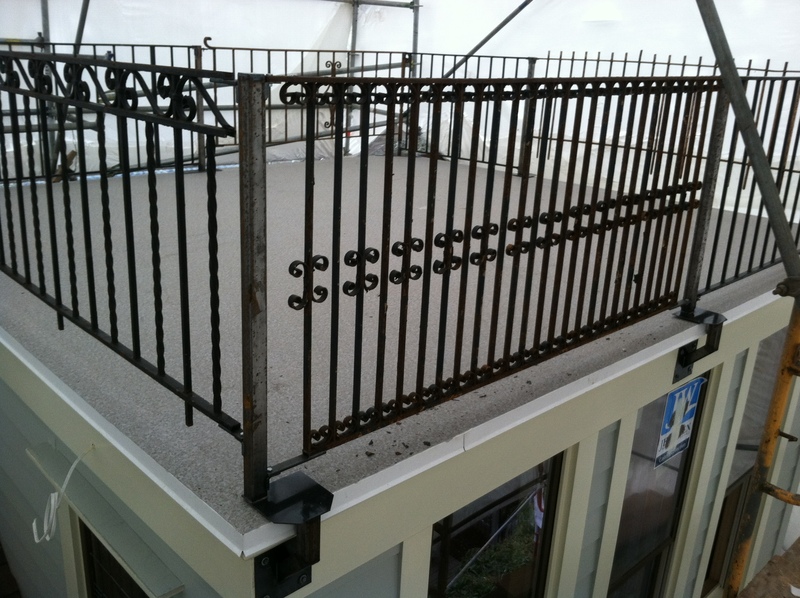 Some salvaged railings were added to the roof deck create that nautical “Admiral Boom” look. 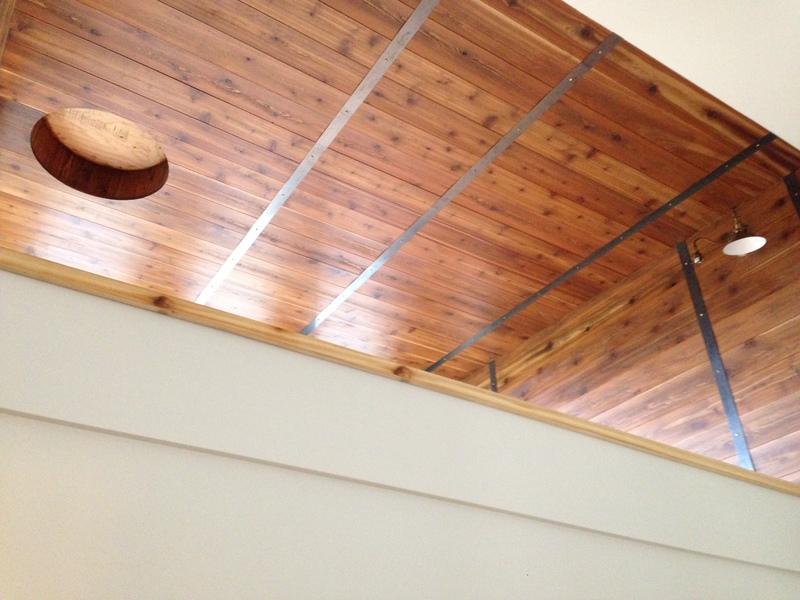 In the reading loft below, some very cool metal strapping was applied to hand milled plank flooring and walls to give the loft a bit of a pirate’s treasure chest vibe. The ceiling was finished, sealed and polished and the hole for the hatch was prepped to receive the hatch. At last, when all the people involved in the design and ordering of the hatch had begun to worry that it might never be completed (the whole thing took about 8 months from initial concept to installation)… the hatch arrived! 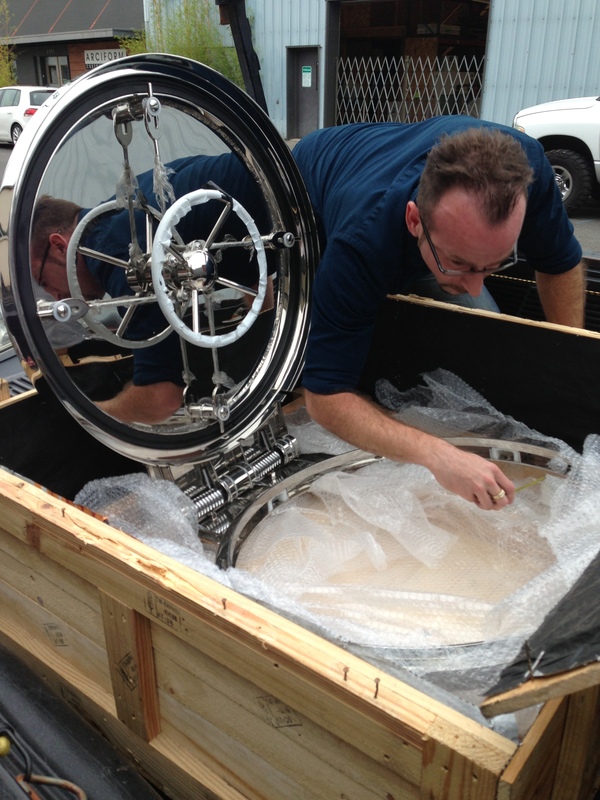 Here is Arciform draftsman and purchaser Bradley Horne getting ready to pull the hatch from its shipping crate. Next Step: How to Get it to the Roof? The hatch weighed about 200 lbs, making it a two person project to lift it up the multiple flights of stairs. Getting it to the deck required actually removing a window and shimmying it out onto the roof, where the hatch was secured with a rope and dead lifted the remaining few feet. Luckily, the hatch fit perfectly into the hole waiting to receive it, and the installation was a breeze. 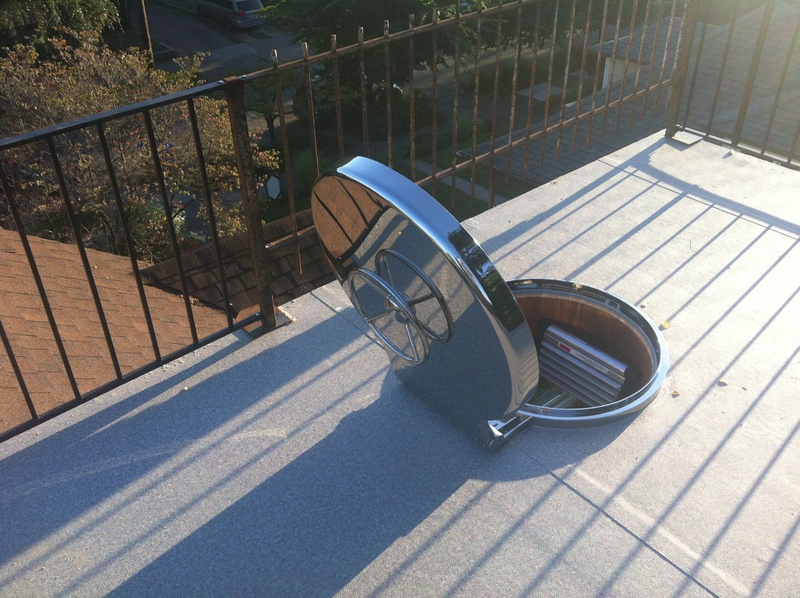 Thinking about installing your own roof hatch? In the end, the result is utterly delightful… and perfectly in keeping with this family’s quirky and creative approach to home design. Just as soon as he’s gotten caught up on his sleep.